The good thing about living in the country is that beautiful things are just around the corner. 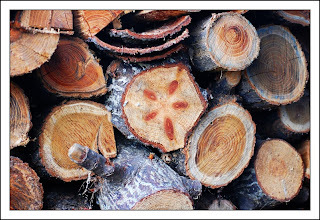 This time, I found this particular "flower" in the stack of fire wood in our backyard. Oh wow, where in Italy do you live? I've never been!